When you talk about your biking passion with non mountain bikers, they may find it hard to get why you do it all. It all sounds like such a hassle, why would you get involved at all? Here’s 14 common misconceptions that people have about mountain biking. Why not tick off any of the points you’ve heard before? You’ll at least have something good to come back with the next time you hear it! There’s always someone who thinks they know more about mountain biking than you do. They’re at work, at school, even in your circle of friends and family. You find yourself having to defend yourself and your hobby to them all the time. They can’t conceive of why you would want to spend all day in the cold and the damp on a bike. How is that fun? That’s why so many misconceptions spring up. They think you’re doing something you’re not every time you head out on your bike. Here’s some of the most common things you’ll hear from others when you talk about you hobby. You’ll see just why they’re so far off the mark, and just why they’re wrong. It’s not all road biking, spending all your hard earned cash, and doing stunts! If your friends see you riding a bike, or talking about biking, there’s only one thing you’re going to do right? It’s the Tour De France? It’s one of the most popular biking events in the world, and it gets good coverage on TV. Of course they’re going to link the two together. It doesn’t make it any less irritating, though. There’s nothing wrong with the Tour De France, and the bikers competing in this competition work hard to get to where they are. However, that’s not the be all and end all of biking. As a mountain biker, you can take part in a dizzying array of different competitions. There’s all kinds of tests of your ability, so if someone says this to you, ask them to come along to the next meet. They’ll learn something new, and hopefully see you tear up the course and win. It’s not just the Tour De France, you know! You’ll hear this a lot of you live in a city. ‘Mountain biking? That’s like kids with their BMX bikes, right?’ They’ll see kids out after school with their bikes, attempting tricks in their local community. It makes them think of biking as something childish and dangerous, especially if they’ve ever seen someone attempt a rather foolhardy trick. That makes them think all mountain biking is just BMX on a grand scale. This is nowhere near the truth, as you already know. 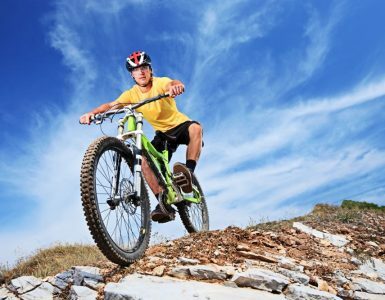 Mountain biking takes on a lot of forms, which bikers choose to focus on and specialise in. There’s cross country, downhill, dirt jumping, free ride… the list goes on. 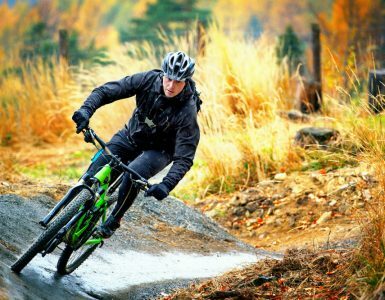 Yes, some of the styles do include some amount of BMX style riding, but mountain biking encompasses so much more than that. It’s true that no matter what sport you’re into, you’re going to be shelling out a decent amount of cash to get involved. Non bikers see mountain biking though, and assume that you’re spending huge amounts of cash on your equipment. Who can blame them? They see the bike which on its own can cost a pretty penny, the safety equipment, the car racks to get your bike places… it all adds up. You must be spending a fortune on your bike! How can it be worth it? The truth is, yes, you’re spending good money on your biking habit, but no more than any other sports fan would. If you play football, you’ve got to pay for the shoes, the clothes, the field hire, not to mention the trips away to play other teams. There’s all kinds of things every sports fan needs to pay for. Mountain biking looks expensive, but that’s because you’re looking at a quality piece of equipment. What you don’t see are the trails that you can ride on for free. You’ve told a co worker or friend that you’ve taken up mountain biking, and this is the response that you get. They’re horrified that you’d go out and willingly put yourself through such torture. They see mountain biking as a terribly dangerous sport. You put yourself through it again and again, and you’re lucky if you only come out with a few scrapes. It’s true that yes, you can get a bit banged up on your bike if you’re not careful. Every biker has a story of coming off their bike, and sometimes the scars to prove it. You can get hurt, but that’s the way it goes. It’s like any other sport in that regard. You can minimise the risk of getting hurt by learning to ride safely, and if you do fall off or something happens, you can learn how to minimise the damage. You may be a mountain biker, but your bones are still intact. Mountain biking is a skill, just like anything else. You may have learned to ride a bike as a kid, but mountain biking is a whole other beast, right? You’re using machinery in your sport, something which can’t be controlled if something goes wrong. If it does go wrong, you’re the one that has to stop and fix it. That’s a lot of skills you’re going to have to pick up before you even start, right? It’s probably best just not to bother. This isn’t true! If you can ride a bike, then you can get started right away. It’s not about how good you are as a rider, it’s about the enthusiasm you put into it. If you’re enjoying yourself, then it’s worth doing. As for the repair side of things, those skills are easily picked up. You can watch videos on Youtube, or pick up tips from other bikers. They’ll be more than happy to show you the ropes. If you live in the city, then what’s the point in mountain biking? There’ll be no mountains near you. That means you’ve got to pack everything up in the car, trek all the way out there, unpack the car, and then you can get out on the track. That sounds like a nightmare to anyone who isn’t dedicated to biking. If you’re not living by the mountains, then there’s no point in going mountain biking, is there? It’s true that some of us have to get in the car if they want to find the good trails, but you’ll be amazed at what’s out there in your area. Once you start mountain biking, you can find trails almost anywhere. You’ll find the trails within driving distance, and they’ll be so worth it once you get there. It’s no worse than having to drive to the gym or the football pitch every few days. Like with BMXing, people may decide that as a mountain biker, you’re always doing crazy stunts. You’ll be riding around on your bike jumping off huge ledges, doing wheelies, and doing other mad tricks that will put any pro biker to shame. Again, when mountain biking is shown on TV, that’s all that is shown. It’s true to say that some forms of mountain biking are focused on stunts and tricks. However, that’s not all it is. There’s much more to this sport, and you can focus on all kinds of different abilities and riding styles. That’s not to say, or course, that you don’t enjoy doing the odd jump when you’re out on your bike. After all, you’re not made of stone! Sadly, like many sports, biking is seen as a boy’s game. When you see it on TV, or when it’s being advertised, it’s usually men who get to take centre stage. When a woman gets involved, it’s seem as being very ‘unladylike’. After all, what woman would want to get involved with such a muddy, time consuming sport? The answer is quite a lot of women actually. There’s plenty of ladies tearing it up on the trails, and taking away trophies in competitions. It may be seen as unbecoming of a lady, but in fact these ladies are making up their own rules. Just take a look at famous mountain bikers Rachel Atherton who’s won the UCI Downhill World Cup 6 times in a row, or Darcy Turenne, who’s making short films that promote the sport to others. Are you going to tell them that they shouldn’t be mountain biking? Those trails you get to see when you’re riding are something else. There’s no better way of getting close to nature. You can ride along and see all kinds of things, such as wild animals and trees and flowers coming into bloom. Many bikers will tell you there’s nothing better than a bike ride to help you get back to nature when you’re feeling down. However, some people think that bikers don’t take care of the environment they use. There have been some studies that have suggested biking erodes the trails, leading to damage. There’s also a misconception that bikers lead to litter, and frighten away animals from trails. Nothing could be further from the truth. The studies that suggest bikers erode paths were never backed up, so you can ride safe in the knowledge that you’re not damaging your favourite trails. As well as this, most dedicated bikers know that they have to do their part to look after the environment. They pick up their litter after them, meaning they leave nothing behind them but track marks. All bikers are the same, right? If you own a bike, you’re just the same as the people who prefer to bike it on the road, as opposed to driving cars. That means people can be very confused when you’re talking about riding a new trail or entering a competition. You’re a mountain biker, aren’t you? Doesn’t that mean you’re just using your bike to get around? It’s frustrating, but some people won’t get that mountain biking is a totally different thing. Using bikes to get around is a great idea, but it’s not what you’re up to. 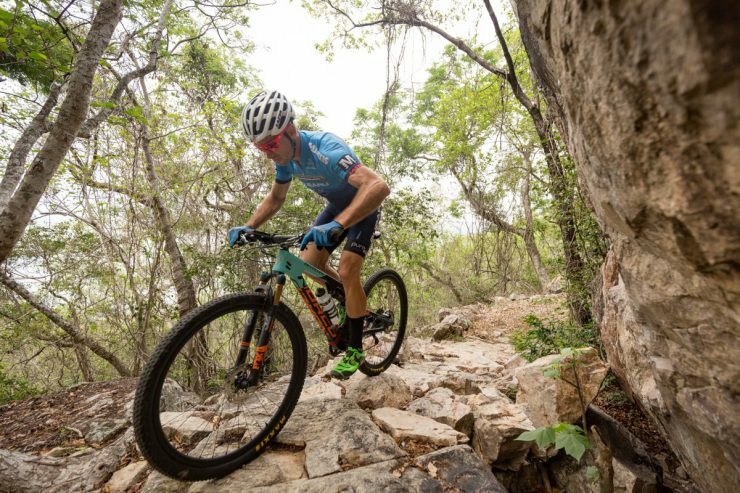 Instead, you’re using your bike to get out on the mountain trails, checking out new things to see and even entering competition. That’s a lot different to riding around on a road bike. Tell someone you’re a biker, and they’ll be confused. Bikes are for kids, right? You buy them one with training wheels when they’re small, and you teach them to ride with the wheels off when they get a bit older. Soon, they’ll be zooming around the neighbourhood on their bikes, getting into adventures with their friends. As an adult, what are you doing with a bike still? Did you never upgrade to a car? And if you still wanted a bike, why didn’t you go with a motorbike like an adult? These ideas are rooted in the idea that you leave everything behind when you become an adult. You may have learned to ride your first bike when you were a child, but as an adult you can really enjoy the benefits of mountain biking. You can travel all over the country looking for new trails to ride, and you can make so many friends doing it. 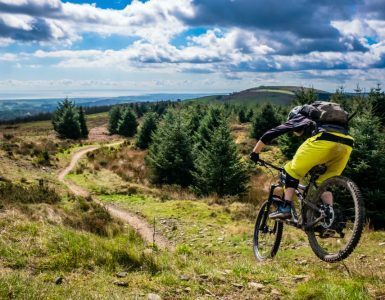 Show those people that mountain biking is certainly not just for kids, although kids are certainly welcome on a bike ride. Mountain biking? That means being out in nature, and that means mud. Lots of mud. You’ll always be coming home covered in the stuff, and having to wash it off both you and your bike. Who wants to keep dealing with that every day? It’s true that there’s plenty of mud involved when you’re out on your bike. You’re going to splash through puddles and give yourself an impromptu all over mud pack. However, you’ll bike in all weathers and see all kinds of things on your rides. Riding through the snow is a unique experience, as is seeing the flowers bloom for the first time in spring. And let’s be honest, washing off that mud at the end of a long ride feels amazing, doesn’t it? This is kind of related to point 3. If you’re a mountain biker, you’re spending a lot of cash on your hobby. After all, bikes are expensive and you need one to get involved. Because of this, if you’re willing to spend all this money on biking, then you’re going to be earning some serious dough. Why else would you do it? Most bikers would hear this, laugh, and point at the beaten up old junker they drive to get their beautiful new bike around. There are people who think money is everything in mountain biking, and will insist that you need to be a high earner in order to get involved. For most bikers though, it’s all about priorities. They may have a new bike, but their car is old and they save money wherever they can. If you plan right and save up, you can have the best biking equipment even if you don’t earn a lot of money. Biking isn’t about your income, it’s about getting involved. This is the one misconception that does have a little bit of truth to it. Ever had someone tell you ‘All you talk about is mountain biking’? They think that because you’re so enthusiastic about the sport. Nothing makes you happier than to bomb it down a hill as fast as you can on your bike. Why wouldn’t you talk about that? There’s plenty of misconceptions out there about mountain biking, but you know the truth. You love mountain biking and can think of nothing better than hitting the trails on two wheels. It’s a fantastic sport, and now you can put the naysayers right. What Do I Need to Start Mountain Biking?